2016 saw the 200th anniversary of the premiere of Rossini's masterpiece The Barber of Seville, one of the greatest comic operas ever written. 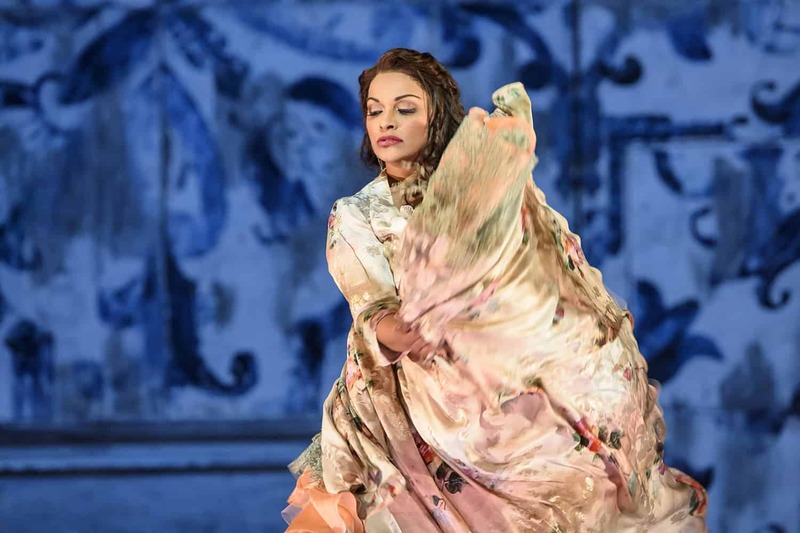 In this documentary, internationally acclaimed soprano Danielle de Niese provides a unique backstage pass to her preparations for the role of Rosina in Glyndebourne's 2016 production. With extraordinary access, Birth of an Opera gives an unparalleled insight into how a top opera professional shapes a performance, both musically and dramatically. As well as filming of all stages - from singing to warm-ups to costume fittings, lighting and set building on stage, through to hair and make-up - there are masterclass sessions with director Annabel Arden, conductor Enrique Mazzola and other key cast members to explore key scenes in depth. Danni also visits the Rome theatre where the disastrous premiere took place in 1816. The film features interviews with Arden, Mazzola, designer Joanna Parker and other key figures in the production, and footage from the staged version of the opera throughout.